FOR USE IN SCHOOLS AND LIBRARIES ONLY. 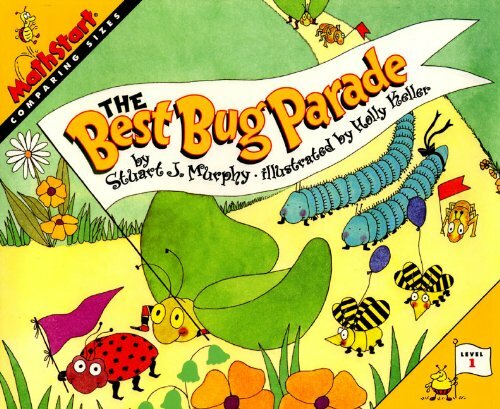 Comparing and contrasting sizes is fun and easy in a basic math skills book that uses different and amusing drawings of bugs to teach and retain interest. Stuart J. Murphy travels all over the United States talking to thousands of kids. And you’ll never believe what they talk about: math! Stuart shows kids that they use math every day—to share a pizza, spend their allowance, and even sort socks. Stuart writes funny stories about math—and if you read his books, you’ll start to see the fun in math, too. Stuart J. Murphy and his wife, Nancy, live in Evanston, Illinois.